Music is dangerous. While often focused on love, loss, and personal struggle, songs can also be loaded with subversive messages and charged with rhythms that move people to rise up and fight. Among the many social and political movements that have used song to give voice, cohesion, and power to its people, the anti-apartheid movement in South Africa utilized music in a particularly powerful way. Some songs resonated internationally among exiled South African artists, while others were played in secret among the rebellious, youthful white communities. Music was everywhere. Most powerfully though was the music that emerged from within the communities of black South Africans weighed down by the heavy blanket of apartheid. This group maintained, by far, the most unique and sophisticated musical styles, which allowed them to organize their community on a deep and poetic level. The social history of contemporary South Africa is complex, and the relationship between natives (i.e. descendants of innumerable African tribal and language groups) and whites (i.e. descendants of European immigrants who arrived in various waves starting in 1488) has historically been imbalanced and exploitative. Translated from the Afrikaans as, literally, "the state of being apart," apartheid was a system of racial segregation enforced by the South African government for 46 years (1948-1994), under which the rights, associations, and movements of the majority black inhabitants were curtailed, while Afrikaner (white) minority rule was maintained. The rise of apartheid is often attributed to the combination of two primary factors: the 20th century development of South African capitalism (with its strong reliance on cheap labor), and the country's strong history of racial prejudices and policies imposed by Dutch and British settlers. Undoubtedly, another major influence on the development of apartheid was the discovery of diamonds (1867) and gold (1886), which quickly transformed South Africa from an agrarian society at the edge of the world economy into a globally integrated industrial economy. The mining revolution quickly pushed European colonization into the interior of the country and, by the end of the 19th century, indigenous peoples of South Africa had lost all political and economic independence. 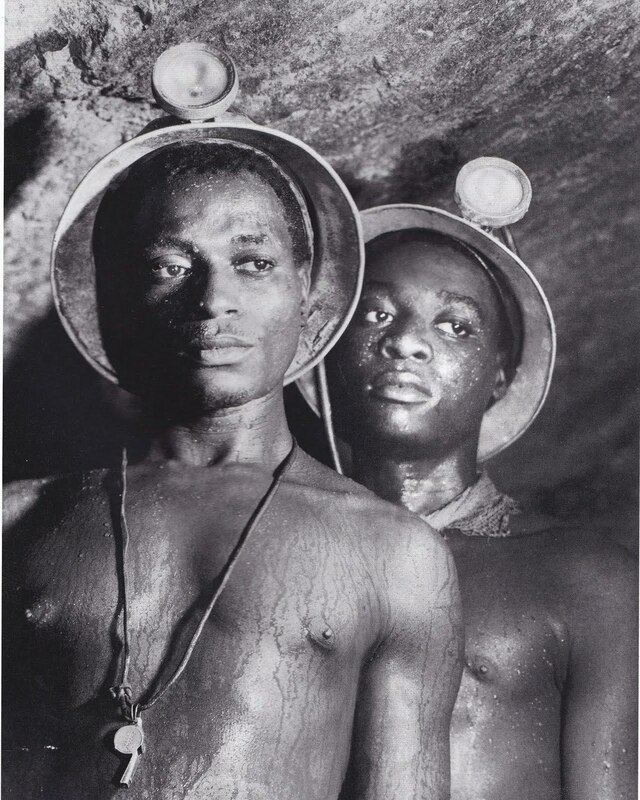 In addition, new (racist) laws enabled the white-owned mining companies to control workers' lives, keep wages very low, and gain immense profits from the diamonds and gold. Many men worked in the mines and farms under dangerous conditions and most were migrant laborers, spending nine to eleven months out of the year in the mines while their wives and children remained in the countryside. Since wages were kept so low and there were little to no other options for work, these men would often return home without sufficient wages to feed and clothe their families, with some even returning to find their wives remarried and their families torn apart. In addition to these severely limited opportunities, apartheid laws forcibly uprooted 3.5 million non-white South Africans from their homes and moved them into segregated neighborhoods as part of one of the largest mass removals in modern history. The government also segregated education, medical care, beaches, and other public services, and provided black people with services that were inferior to those of white people. During the course of the regime, the anti-apartheid resistance movements evolved and changed shape—from loosely organized unions of non-violent protestors, to powerful and armed coalitions. Throughout it all, music was there. More than any kind of performance, it was the communal act of singing that served as essential fuel for the movement and helped heal emotional wounds, shed light on the injustices of apartheid, and keep the people's spirits high. During the early years of Apartheid, the songs arising from within the black community were pointedly critical of the regime and expressed overt political protest. One of the many prominent musical and political leaders at this time was Vuyisile Mini, who is recognized for writing some of the most influential songs of the early resistance period. As a gifted actor, dancer, poet and singer, he is remembered both for the songs he composed as well as his powerful bass voice. "Look out, Verwoerd, the black man is going to get you. Look out, Verwoerd, the people have taken up the song." “The last evening was devastatingly sad as the heroic occupants of the death cells communicated to the prison in gentle melancholy song that their end was near... It was late at night when the singing ceased, and the prison fell into uneasy silence. I was already awake when the singing began again in the early morning. Once again the excruciatingly beautiful music floated through the barred windows, echoing round the brick exercise yard, losing itself in the vast prison yards. Mini's execution was the first of many tragic and abrupt shocks to South Africa's vibrant creative scene during the 1960s. The removal of the country's creative seat—Sophiatown—was a huge blow and triggered the exile of many prominent artists and musicians, including Miriam Makeba, Hugh Masekela, and Abdullah Ibrahim, among other. * Nongqongqo is the name of a prison in East London, South Africa. In 1974, the apartheid regime passed the Afrikaans Medium Decree, which deemed Afrikaans the only language to be used for upper level mathematics, arithmetic, and social studies in both black and white public schools, with English relegated to instruction in general science and practical subjects (e.g. home economics, needlework, woodwork, metalwork, art, agricultural science). This was a strong symbolic and practical act of oppression since black South Africans had long preferred English over Afrikaans, which was widely viewed as "the language of the oppressor." English had gained so much prominence that it had become that language most often used in commerce and industry and this change was intended to forcibly reverse the decline of Afrikaans among black Africans. It also required black students to refocus their time and energy on understanding a language they were less familiar with instead of subject material, imposing additional challenges to their learning process. In response, on June 16, 1976, between 3,000 and 10,000 students in the Soweto township mobilized and marched peacefully to demonstrate and protest against the government’s directive. On their way to a nearby stadium, the students were met by heavily armed police who fired tear gas and live ammunition, killing many and wounding thousands. This initial clash resulted in a widespread revolt and developed into an uprising that spread across the country and carried on until the following year. One particularly powerful form of revolutionary music picked up abroad during military training (most likely coming from Zimbabwe) was the toyi-toyi. With its charging, uptempo rhythms and aggressive sound, toyi-toyi quickly became commonplace in massive street demonstrations. By the 1980s however, the combined internal resistance and international sanctions placed on South Africa by the international community—including exiled artists Miriam Makeba and Hugh Masekela—made it increasingly difficult for the government to maintain the regime. In particular, from 1984 to 1989 the country was in a near a state of emergency, with townships in an almost constant state of revolt. By 1990, then President, Frederik Willem de Klerk, began negotiations to end apartheid. With Mandela's release from prison in early 1990, the country began a long and arduous healing process, including major political reconfigurations and a Truth and Reconciliation Commission. Similarly, artists and communities had to carry out their own processes of remembering and documenting the musical traditions of the revolution since nearly "every phase of our struggle had its own kind of songs, and all the songs were composed to fit in to a particular phase of the struggle ... it’d be really, really difficult to know how many songs could have been composed." Thankfully, in the nine-year process of creating the film Amandla! A Revolution in Four Part Harmony—which includes many songs that were banned by the apartheid government—the director and producer were able to compile hundreds of hours of songs that they subsequently donated to the South African national archives to preserve this part of the country’s cultural history. South Africa History Online: the largest independent history education and research institute in South Africa. Its aim is to promote history and the arts and to address the bias in written history as represented in South African educational and cultural institutions. Jolaosho, Tayo. "Anti-Apartheid Freedom Songs Then and Now." Smithsonian Folkways Magazine. Mcimeli Nkoala, Sisanda. "Songs that shaped the struggle: A rhetorical analysis of South African struggle songs." African Yearbook of Rhetoric 4, 1, 2013, Online, Afr. yearb. rhetor. : ISSN 2305-7785. Amandla! A Revolution in Four Part Harmony - Interviews, archival footage, and filmed performances highlight the role of music in the South African struggle against apartheid. Come Back, Africa - a film about the life of Zachariah, a black South African living under the rule of the harsh apartheid government in 1959 (with special appearance by a young Miriam Makeba). Cry Freedom - a film about South African journalist Donald Woods, who is forced to flee the country after attempting to investigate the death in custody of his friend, activist Steve Biko. Searching for Sugar Man - a documentary about two white South Africans who set out to discover what happened to their unlikely musical hero, the mysterious 1970s rock 'n' roller, Rodriguez, who helped inspire revolutionary ideas among white youth under apartheid. Newer PostLlasa de Sela: "A la vida vuelvo ya"